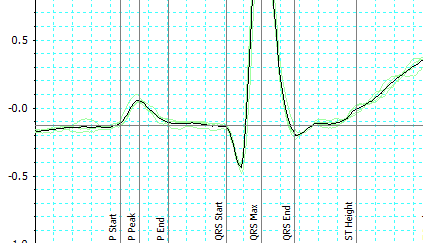 Our guide to setting up and recording a 12-lead ECG using the Octal Bio Amp, to ensure clean signals for your research. Many researchers find it a real challenge to record an accurate 12-lead Electrocardiogram (ECG or EKG)with clean signals. There are numerous elements to get right: the data recording equipment and analysis software must be set up precisely, and the surface electrodes need to be positioned correctly on the subject's torso and limbs. 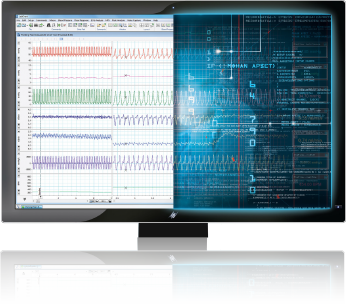 Below are a short video and guide outlining how to record a 12-lead ECG, accurately and easily, using the Octal Bio Amp and Cardiac Axis calculator from ADInstruments. 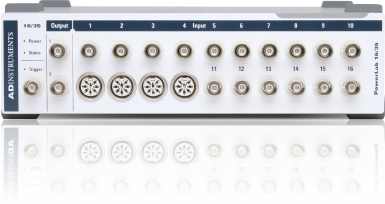 Please note, the MLAC49 linking cable has two extra 1.5mm touch proof plugs that will not be used with this configuration. These plugs can remain unplugged and hanging free from the linking cable during its use. 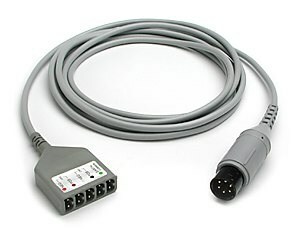 The MLA0311 Lead Wires can now be connected to the linking cables and bio amp inputs as shown, and connected to the appropriate recording sites on the subject with MLA1010 ECG Electrodes. 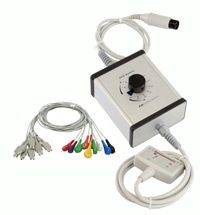 With the Bio Amp configured in this way Leads V1 - V6 of the ECG will be recorded on Channels 1 - 6 respectively. ECG Lead I will be recorded on Channel 7 and ECG Lead II will be recorded on Channel 8. ECG Leads III, aVR, aVL, and aVF can be calculated from Leads I and II with the previously mentioned Cardiac Axis Extension. To learn more about how to use the Cardiac Axis Extension, please review the instructional video located HERE. 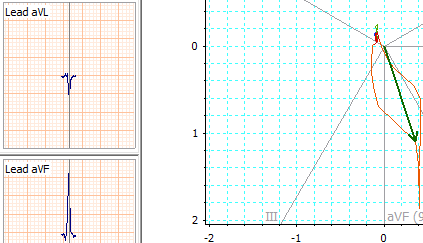 This extension is currently available for all versions of Chart and LabChart for Windows as well as Chart 5, LabChart 6, and LabChart 7 for Mac.